was discovered by the great William Herschel in 1785. A classic edge-on spiral, it is one of the most spectacular galaxies. 4565 lies a staggering 40,000,000 light-years from this island Earth. Though a favorite spring sight, there is precious little written about the Needle or Flying Saucer as it is sometimes called. 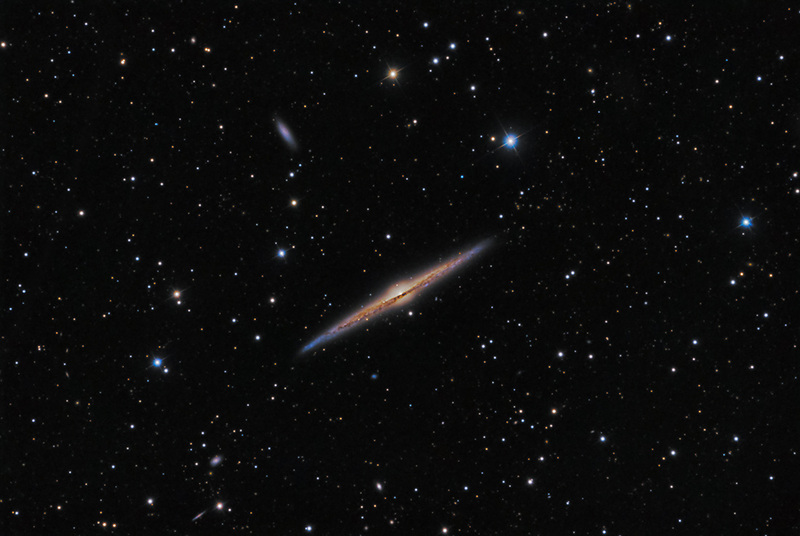 NGC 4562 floats above at 11 o'clock, with tiny IC 3582 at 6 o'clock, and 3543 and 3546 at 7 o'clock.